Telling someone what things to do on New Zealand’s North Island is like trying to name the best flavour of ice-cream in the world. The list is almost never-ending! What places you visit in the North Island is all going to depend on when you’re visiting, how you’re getting around, and what you like to do. My idea of an epic North Island Itinerary might be as far from yours as possible, so instead of just outlining exactly what to see in the North Island of New Zealand I’ve decided to give you an idea of the best places to visit with notes on how long you might want to spend there, things to do, and where to head from there. That way you should be able to piece together a North Island itinerary that works for you, based on how long you’re staying and how you’re getting around (plus tips on those things too!). You might think of New Zealand as a small island nation, but in reality, the North Island is the 14th largest island in the world, bigger than both Iceland and Cuba, so don’t expect to be able to see it all in a week! My best advice would be to pick a couple of key places you want to visit and then build your itinerary around those, taking in places along the way or that are only short detours. Now if you’re wondering why you should trust me to tell you about the things to do in the North Island of New Zealand, then you should know that it’s where I’m originally from, and where I spent many years travelling before I moved abroad, plus I just went back on a long trip to show my husband around. I’m giving you the highlights of the North Island from a local, from the most popular places to visit, to a few more off the beaten track destinations. So let’s go! Most visitors to New Zealand fly into Auckland Airport, so we’ll start the journey there. 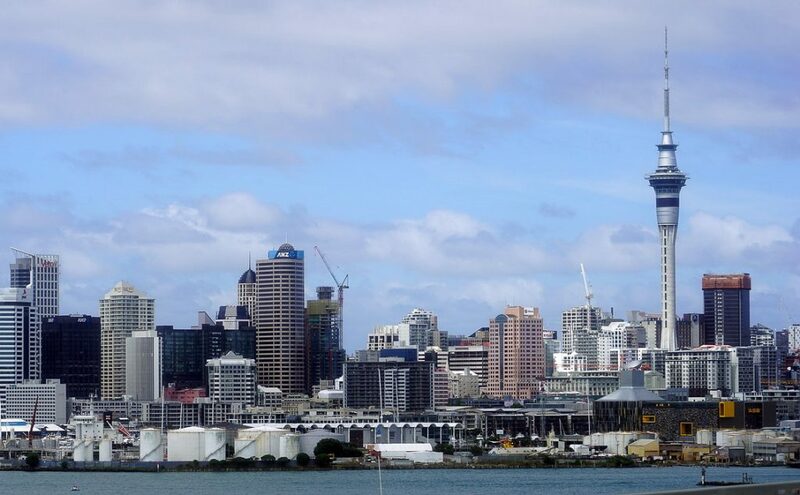 Auckland is the biggest city in New Zealand, reaching up to 1.4 million people if you count all its outlying areas. Despite this, Auckland doesn’t have the big city feel that you might expect because it’s slowly expanded to encompass all of these different areas. It’s actually bigger in area than Madrid despite the population there being double! In Auckland, you’ll find everything from laid-back beach areas to upmarket boutiques and hip bars. How long you spend there will depend on what you like to do, and how far you’ve travelled. Travelling from Europe and having to adjust to a complete flip of day and night meant we stayed for a few more days than you might need! The Auckland Sky Tower is the tallest man-made structure in New Zealand, and has 360 panoramic views of the Auckland region as a result. 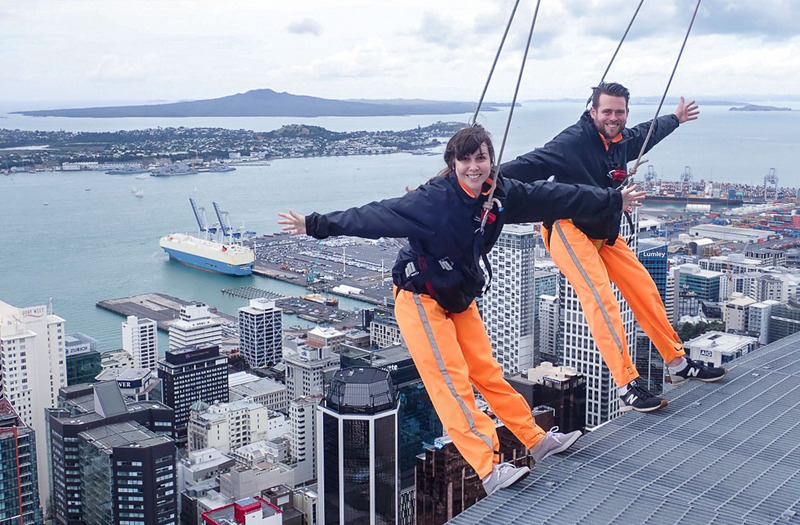 In true-kiwi style, we wouldn’t just have an observation deck, instead, we’ve devised two adrenalin activities that will have you either walking around the Sky Tower or jumping off it! We did the Skywalk, a walk around a 192-metre high 1-metre wide platform, and I can highly recommend it. Personally, I preferred it because it was a longer challenge, getting used to walking with nothing to hold on to, and doing different things as we went around, like leaning over the side! 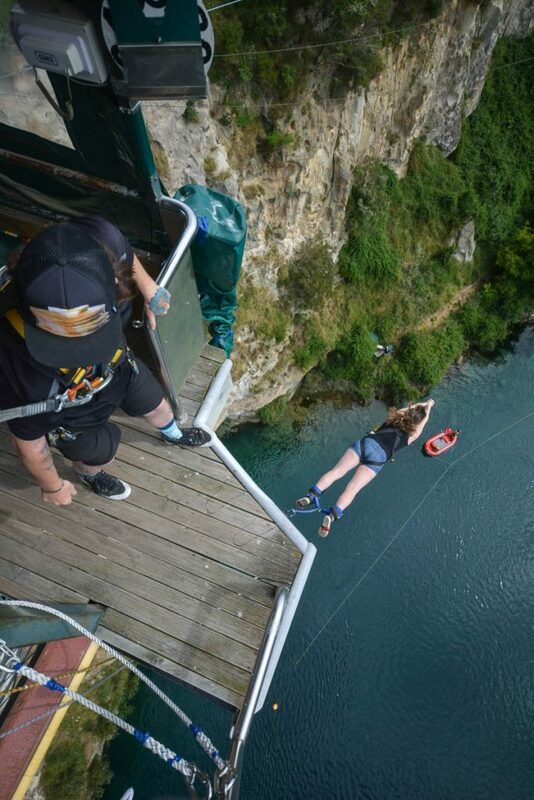 I left the jumping off for later in the holiday… It was amazing how our confidence changed from the beginning to the end, plus our guide was awesome in pointing out all the things to do and see in Auckland along the way. Waiheke Island is just a 35-minute ferry ride from downtown Auckland, but it feels like a world away. Strewn with wineries and restaurants that are a foodies dream, it’s a great place to go if you want a taste of New Zealand wine and won’t have a chance to do it anywhere else! This is one of my favourite places to visit in Auckland, just because it’s so different to anywhere else I’ve been. 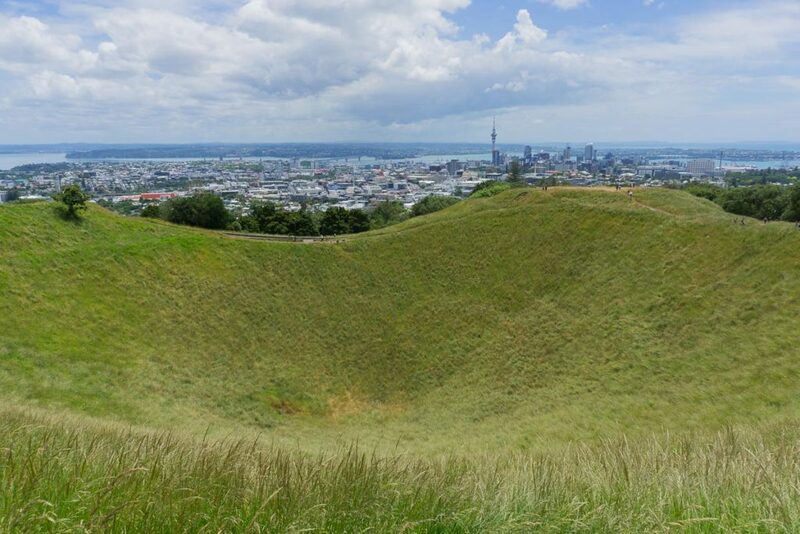 Mt Eden is a dormant volcano that sits high above sea level and is now a 50-metre deep crater after erupting 28,000 years ago. The view from the top is epic! The black sand beaches on the West Coast of Auckland still retain a sense of remoteness and wild beauty. 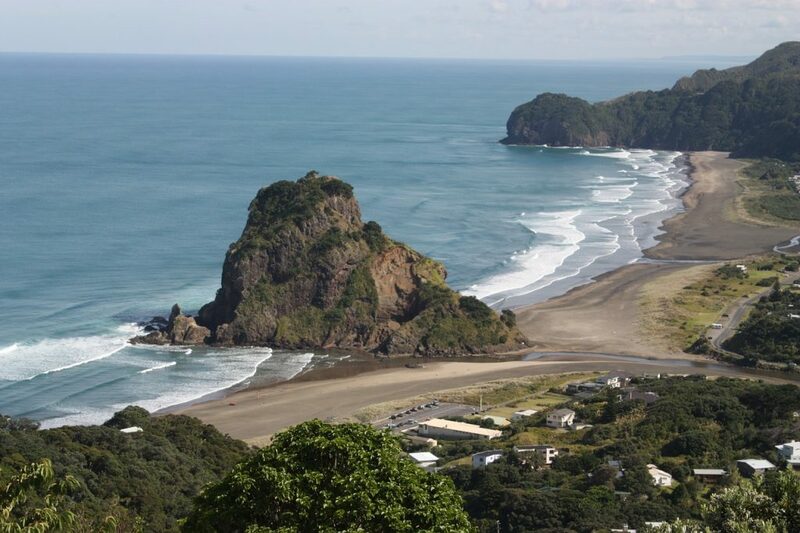 Piha is well-known as one of New Zealand’s most popular surf beaches, but it’s not for the faint of heart. Head over to climb Lion Rock and visit the local cafe. The Auckland War Memorial Museum in the Auckland Domain holds collections on New Zealand, natural history, overseas exhibitions and military history. It’s a great rainy day activity or even a spot that deserves a look as one of the most iconic buildings in Auckland. Auckland is built on volcanos, but Rangitoto Island is the youngest, having only emerged from the sea 600 years ago. It held small populations at one time, but it is now a scenic reserve with limited places to stay. 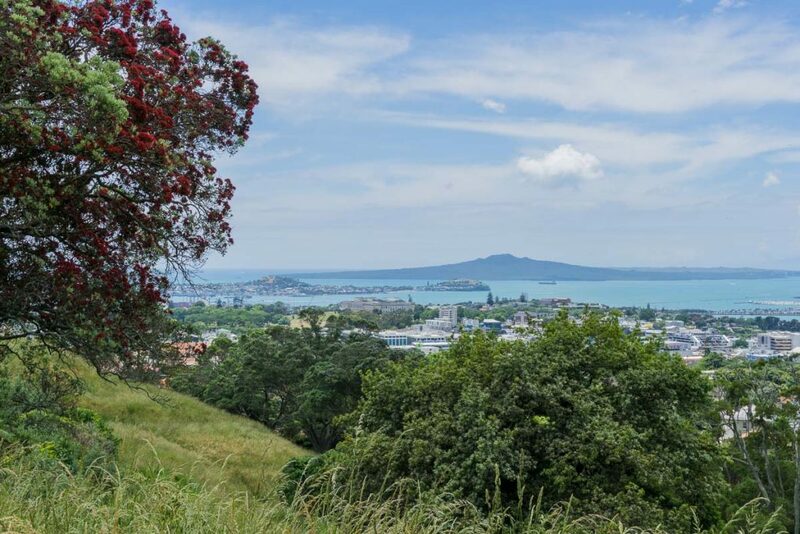 However, it makes a great day trip from Auckland, to climb the summit or explore the reserve. If you’re only staying in Auckland for a night or two then staying in the city centre will give you easy access to most of the things to do there. You’ll be able to walk down to the Viaduct for a drink or take the ferry over to Devonport to explore an older part of Auckland that retains its colonial style. However, if you’re there for a few more days I’d recommend staying a bit further out and experiencing a different side of Auckland. Like many Kiwi’s who live outside of Auckland, I hadn’t spent a lot of quality time there in the past, only coming up for concerts or to see a friend, but staying out of the city centre gave me a different perspective of Auckland. Try the Mission Bay/St Heliers Bay area or the North Shore if you want a beach and relaxed vibe, Ponsonby if you’re after bohemian and hipster, or you can try Newmarket and Parnell but they’re a bit more expensive usually. Check Booking.com for prices and options. The Bay of Islands is aptly named, with more than 140 islands surrounded by turquoise waters and beautiful bays. It’s located north of Auckland and you could fit it into your North Island itinerary if you want somewhere to go to relax when you first arrive or before you leave. 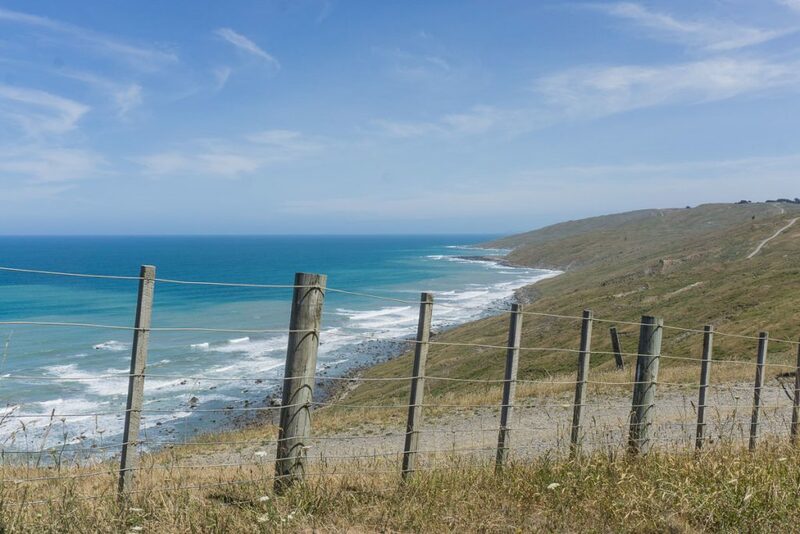 Sail around the islands, visit the first British settlement at Russell and if you have the time, take a trip to Cape Reinga, at the top of the North Island, including a drive down 90-mile beach and surfing down sand dunes. Paihia and Russell are common places to stay in the Bay of Islands, depending on what you’re after. Paihia is more accessible, but Russell provides a more quaint experience, however, you need to drive further around to it or time the ferries if you plan to be out exploring a lot. The Coromandel is one of the most beautiful areas of New Zealand and often missed off a North Island itinerary because it’s a little out of the way. Unfortunately, the most popular places in the Coromandel have become VERY popular. You won’t need to look far to find them, including walking to Cathedral Cove and digging in the sand at low tide Hot Water beach to make your own temporary hot pool. I’m not saying don’t do them, just be prepared to be doing it with lots of other too! 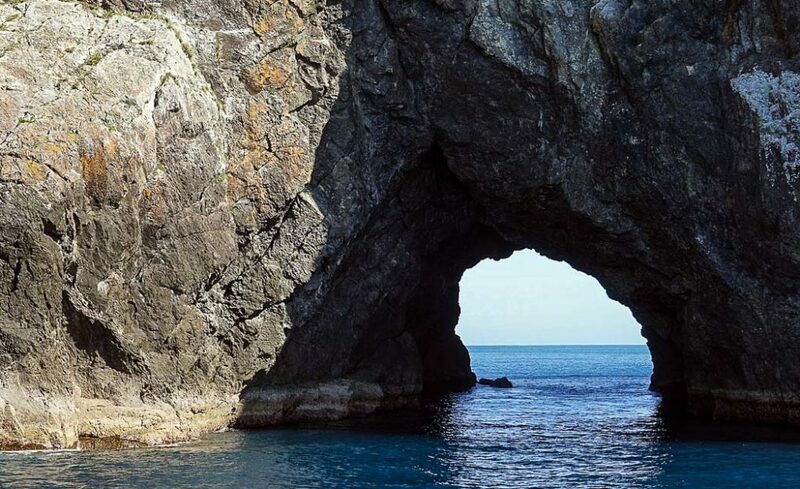 Other things you could do in the Coromandel are drive around the peninsula to find some of the lesser visited beaches, or get out on the water in a kayak or on a boat trip. The eastern side of the Coromandel Peninsula generally has more sandy and picturesque beaches, but the western side is more rocky and rugged. If you’re staying a couple of days it’s easy to drive around to the sites. 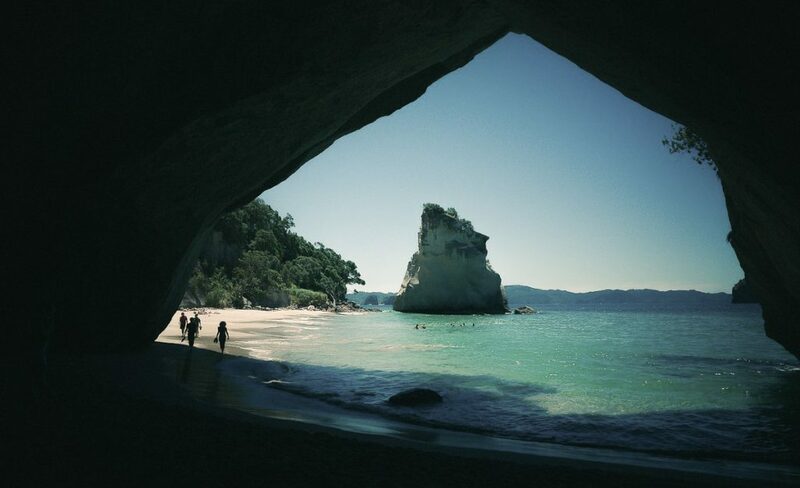 Whitianga, Coromandel, and Hahei are popular in the north of the peninsula, or Whangamata and Waihi in the south. I wouldn’t go out of your way to visit the Mount Maunganui/Tauranga area, but if you’re driving down from the Coromandel or if you want some beach time after Auckland then it’s a great spot. 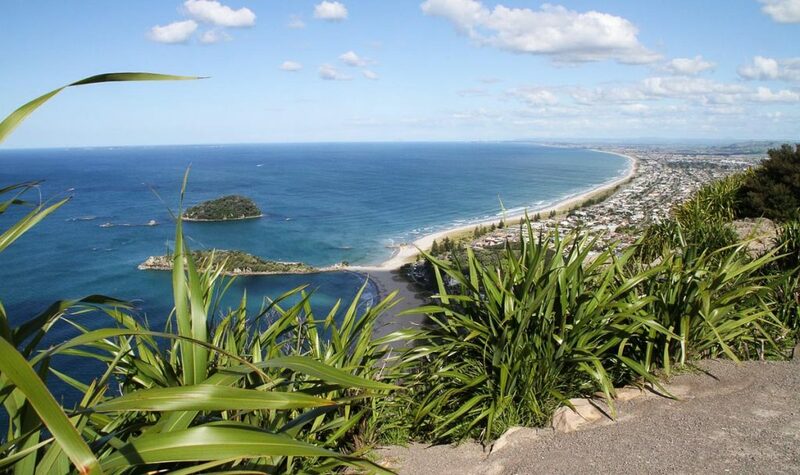 You can walk up Mount Maunganui (aka the Mount to locals) for views along the coast, go surfing, or enjoy a day at the beach. Realistically, it can be used as a base to explore the nearby area, including waterfalls, Hobbiton, or the lower Coromandel Peninsula. There’s a lot of reasonable accommodation in both Tauranga and Mt Maunganui, so check out Booking.com to see what suits you. 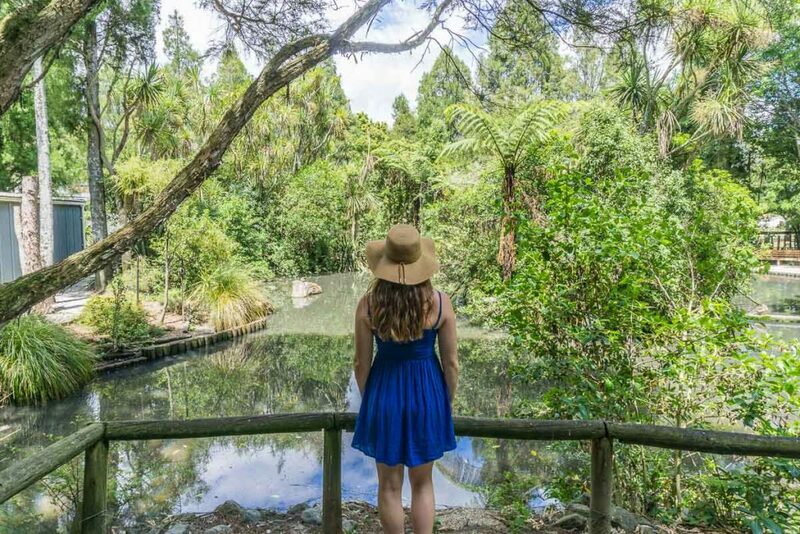 This is where we went after Auckland, and if you want to see glowworms on your trip to New Zealand (and you should) then this is a must-add place to your North Island itinerary! The Legendary Black Water Rafting Company have been operating in the Ruakuri Cave at Waitomo for 30 years, and their tours really are legendary! We did the Black Abyss caving tour that included abseiling, zip lining in a dark cave, tubing along a river under glowworms and climbing up waterfalls. 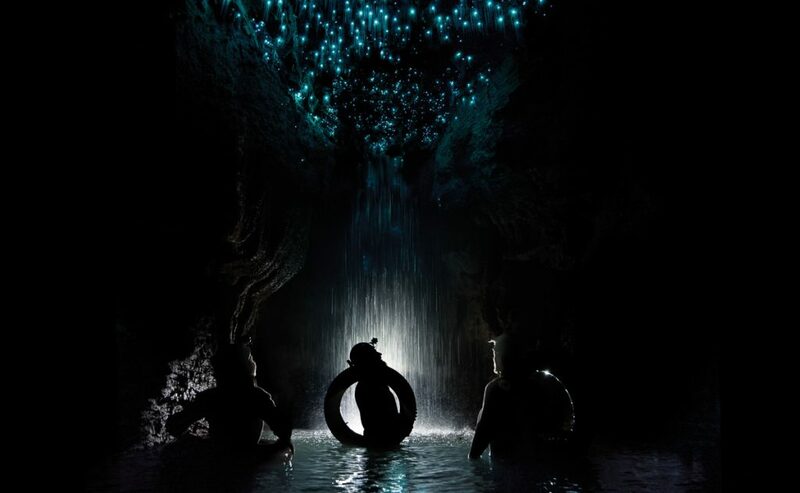 They also offer their traditional black water rafting experience and an accessible cave adventure in Ruakuri Cave that includes viewing stunning cave formations and glowworms. 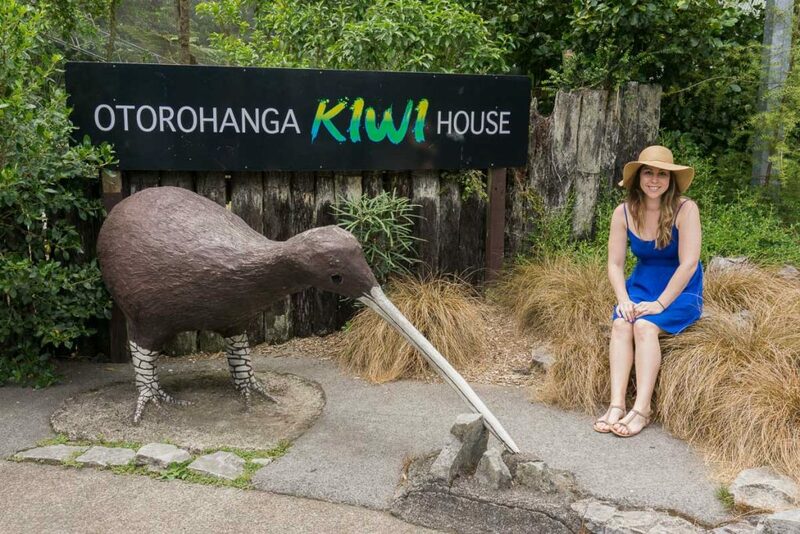 Actually a 15-minute drive from Waitomo, but the Otorohonga Kiwi House is well worth the trip! This is the best place to see Kiwis in the North Island. They have two types, and if you time your visit to coincide with their feeding time then you’ll get to see them up close! The park also has several other native birds and Tuatara, and it was the perfect place to experience some of the wildlife of New Zealand. Waitomo itself is quite small but has a few accommodation options or consider B&B’s or an Airbnb in the countryside around it. Ok, so this is basically on here for one reason and one reason only… Hobbiton! Back in 1998, Peter Jackson spotted the Alexander family farm on an aerial search for Lord of the Rings film locations. He managed to convince the Alexander family to allow him to transform it into Hobbiton for the Lord of the Rings films, but after filming ended it was reverted back to how it’s original state. It was rebuilt again for The Hobbit films, and this time it stayed. So we get to go and visit! 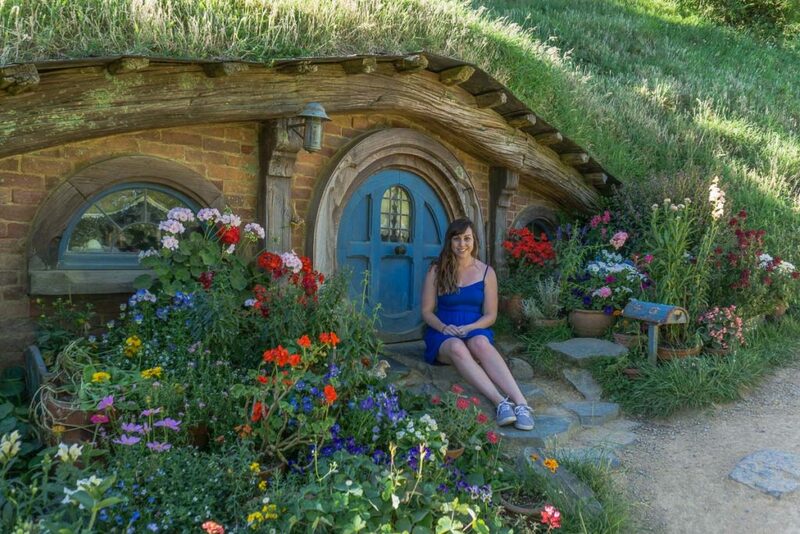 Book your tickets for the Hobbiton Movie Set early because they do get booked out. There’s plenty of options to get extended buses from nearby towns or you can drive to the farm yourself. You’ll be loaded onto a bus and taken down to the set (I recommend the right side for the first glimpse of Hobbiton!) and then taken on a walking tour around the set. It’s so surreal being there, because it feels so real and yet not, and then if you watch the movies you can spot exactly where you were! 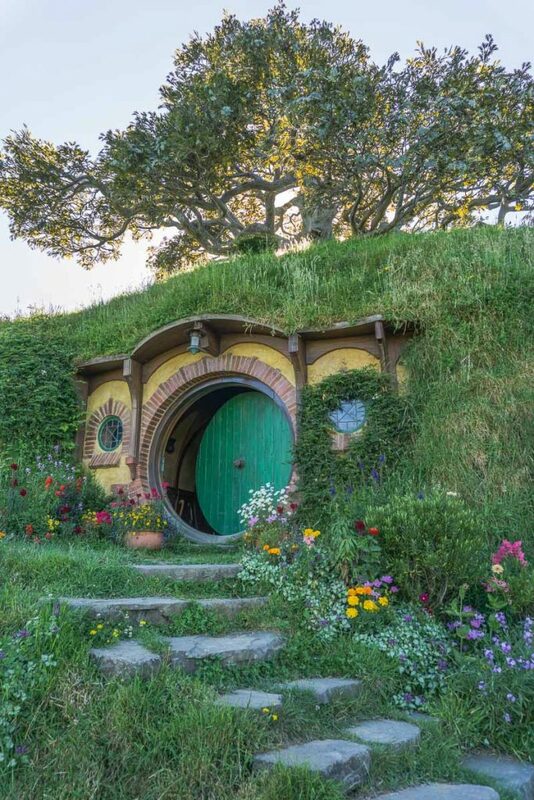 Matamata is the closest town to Hobbiton, but you could stay in all sorts of places to visit or just stop by on your way to your next destination. We stayed nearby since we visited late in the day, but it’s only 1 hour 20 from Waitomo, and one hour from Tauranga or Rotorua. The first thing you’ll notice about Rotorua is the smell of sulphur in the air, thanks to all of the geothermal activity in the area, but as well as being a picturesque city on the banks of a lake, its also one of the best places for adventure activities in the North Island, so a must to add to your itinerary if you want a bit of adrenalin! Also, don’t miss the food market if you’re in town on Thursday nights, the dumplings are to die for! The luge in Rotorua is the first of it’s kind in the world, but what is it you might ask? It’s kind of like a toboggan with wheels and bicycle handlebars. You sit in it and speed down a mountain on a concrete track, through tunnels, and around sharp corners. Once you get the hang of the braking system, you’ll be flying down! I’ve been going on it since I was a child, sitting in front of my parents, and I love to see people try it for the first time, nervousness on their faces turning to absolute delight when they realise how much fun it is! 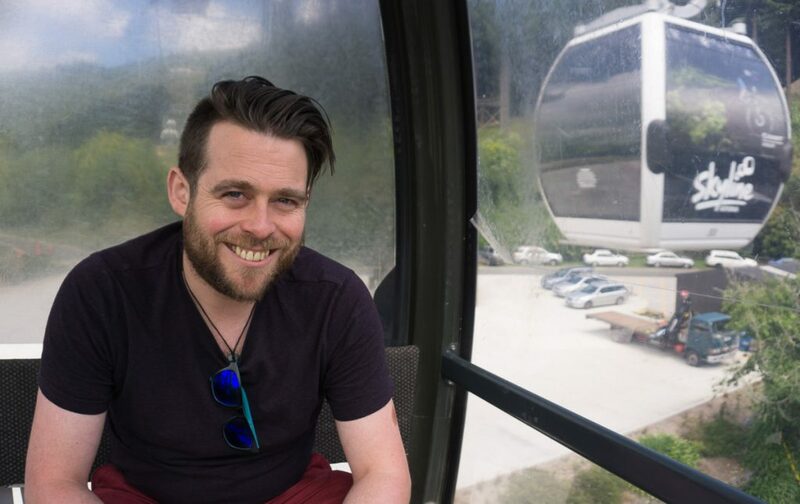 You have to take a gondola to the top of the mountain overlooking Rotorua, then you can luge, zipline, swing, and mountain bike all over it. Buy your luge tickets with your gondola ticket before you head up the mountain for the best deals. I’ve been white water rafting in Croatia and Montenegro, but Rotorua easily takes the cake. 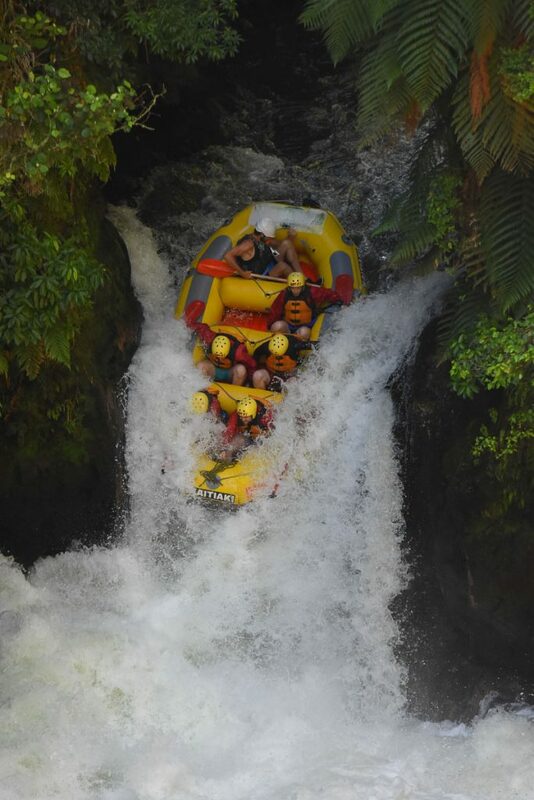 Kaituna river rafting includes the 7-metre Tutea Falls, the highest waterfall you can commercially raft in the world. To say I was nervous was an understatement, but looking back it was an absolute EPIC experience. Kaitiaki Adventures were awesome guides and made sure we were fully prepared for all eventualities, including the raft tipping over as we went over and under the waterfall. I would seriously recommend fitting this into your North Island itinerary because it was a highlight of our entire trip to New Zealand. An amazing place for world-renowned mountain biking and walking through the Californian Redwoods. When you’ve had enough of throwing yourself down waterfalls and mountains you can retreat to the Polynesian Spa to relax. Maori were bathing here for centuries before Europeans began to take part from around 1878 too. 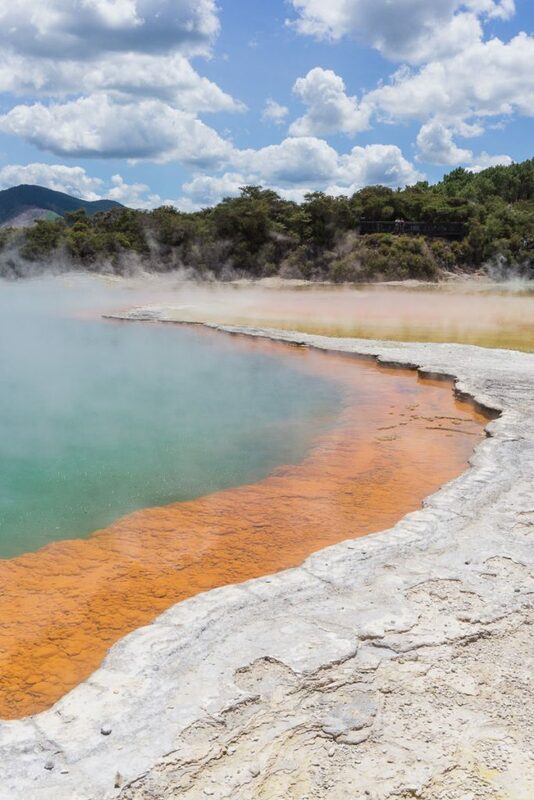 A bathhouse has been on the site next to Lake Rotorua since 1882 and you can now bath in the natural or manmade pools, filled with thermal waters. 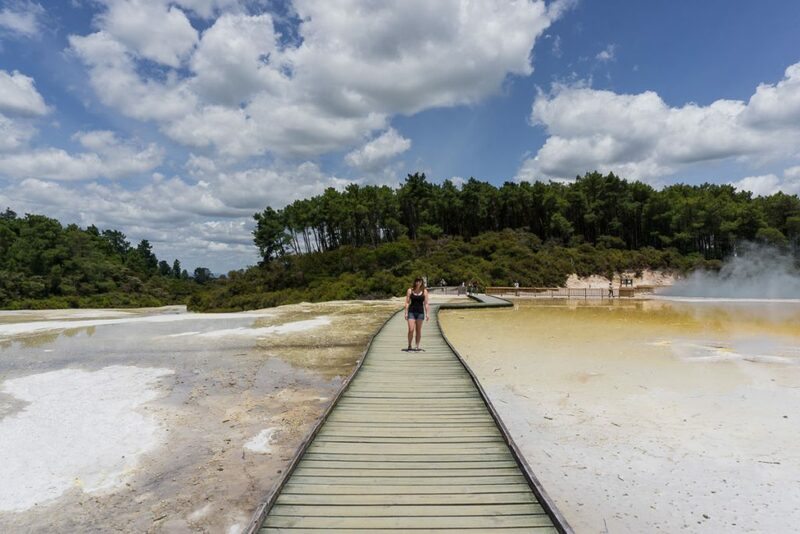 There are quite a few different thermal areas to explore in Rotorua, some that include Maori cultural performances, but I loved the Wai-o-tapu Thermal Wonderland. We stopped by on our way to Taupo and walked around the unique volcanic and geothermal landscape. The Champagne Pool is a highlight, so called because of all the little bubbles coming up to the surface. Just don’t touch anything! The Buried Village is kind of like New Zealand’s answer to Pompeii. In 1886 the nearby Mount Tarawera erupted and buried Te Wairoa village in a sea of mud and ash. Unfortunately, 150 people lost their lives in the eruption and this village was subsequently abandoned. The famed pink and white terraces, hot baths naturally made of silica often called the 8th wonder of the world, were also lost. Te Wairoa has been partially excavated and you can visit today and see the remains of the village and a museum about the eruption and with items from the village on display. 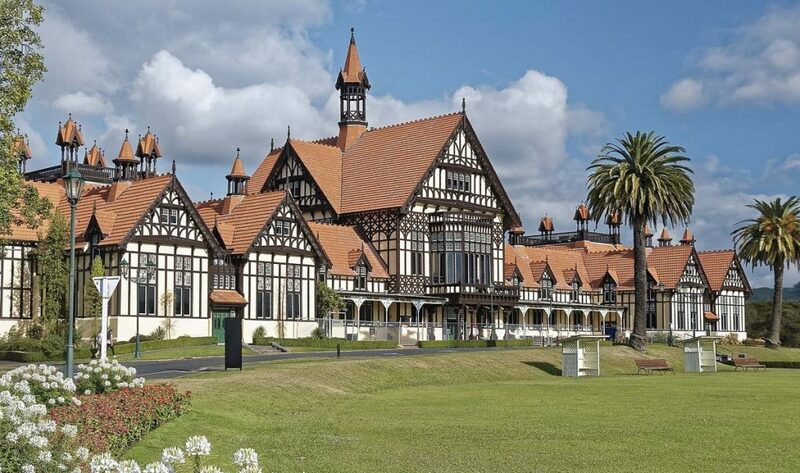 Rotorua has long been a tourist destination in New Zealand, and so it is well-equipped with hotels and motels, and also some B&Bs in outlying areas. Check Booking.com for prices and recommendations. Lake Taupo is the largest lake in Australasia, made in a volcanic caldera in the centre of the North Island, and on its north shore, you can find Taupo township. It’s a favourite holiday destination for Kiwis with many people owning or knowing someone who owns a bach (holiday home) somewhere on its shores. 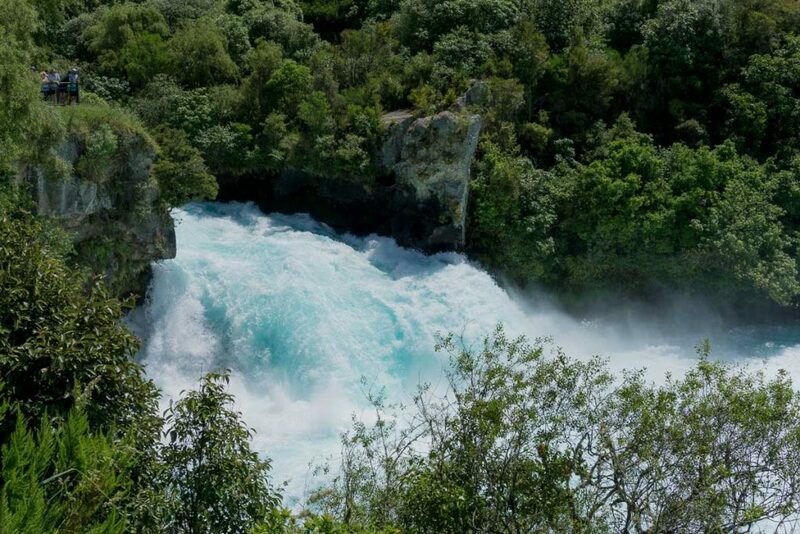 Huka Falls is New Zealand’s most visited natural attraction, and it’s FREE. 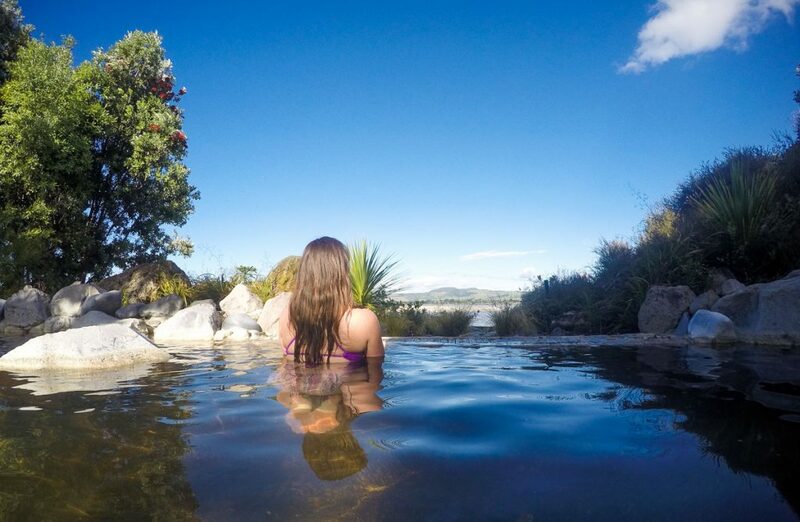 Just north of Taupo, they make an easy stop along your North Island itinerary. 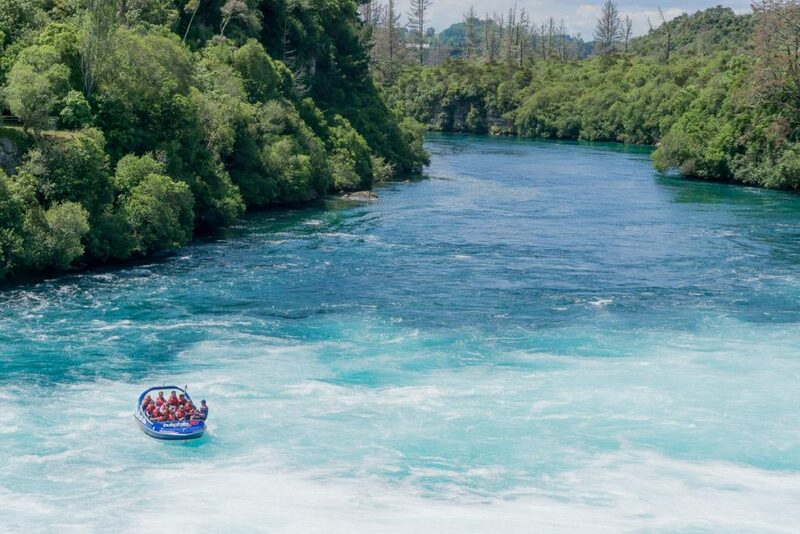 The Waikato River drains water from Lake Taupo and at the point of Huka Falls, it narrows to only 15 metres across, creating a hugely powerful turquoise-coloured waterfall that flows at over 220,000 litres per second! You can take the Huka Jet along the river for a closer look from below. 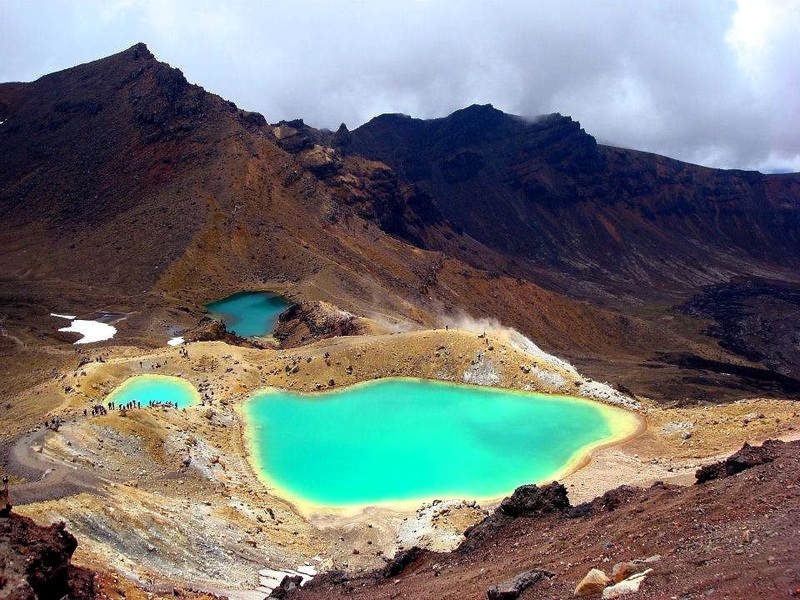 Just south of Taupo is the Central Plateau, an area of volcanos and great walking tracks. In winter you can ski on one of Mount Ruapehu’s two ski fields, Whakapapa and Turoa. In summer you can walk across the Tongariro Crossing, one of the best day walks in New Zealand, and close to Mount Ngauruhoe (which was used as Mount Doom in Middle-Earth). Taupo covers such a vast space that where you stay depends on what you want to do! Stay in town if you want to go out at the restaurants and bars and go on any tours, or consider staying in some of the quieter bays around the lake for a more relaxing time. The town of Napier sits on the coast in the sunny Hawkes Bay region and was largely rebuilt in an art deco style after a large earthquake in 1931. It’s a picturesque area with You could detour here after Taupo and carry on down through the Wairarapa to Wellington, or you would have to backtrack a bit if you went down to the Central Plateau. Many travellers skip this area if they’re short on time and head straight south after Taupo, but if you have the time then it’s well worth the detour to visit the cellar doors, Te Mata peak, and tour the unique art deco town of Napier. 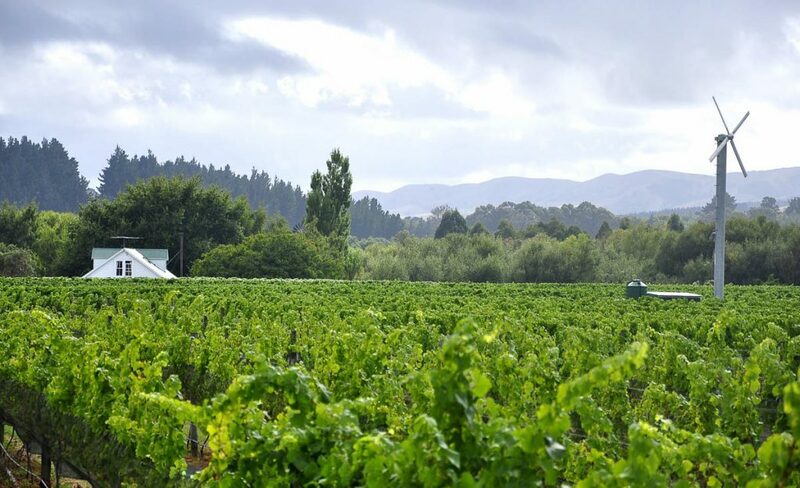 The Hawkes Bay wine region is the oldest in New Zealand, and the second largest. There are plenty of award-winning wineries and accompanying restaurants to choose from, and I’d recommend you spend a whole day exploring! Consider taking a walking tour of Napier to find out more about how the town was rebuilt after the devastating 1931 earthquake. 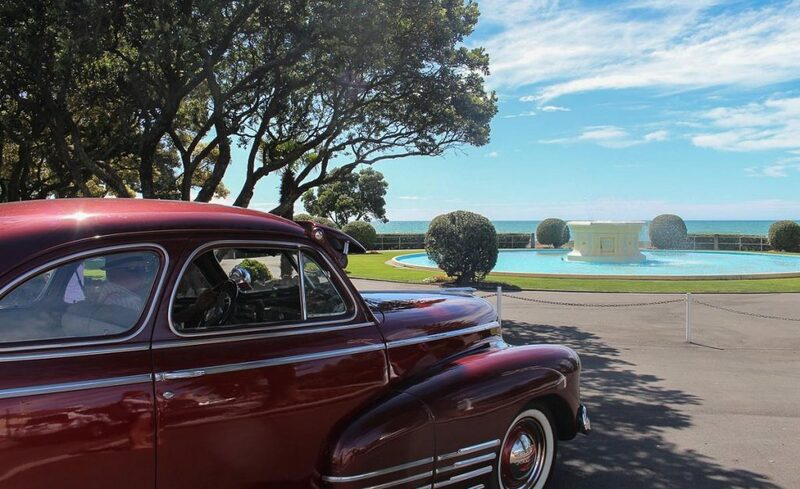 Stay in Napier itself, or consider winery accommodation in the Hawkes Bay region for something different. Taranaki is possibly the most underrated place in the North Island. It’s a bit off the beaten track, and therefore often overlooked as an addition to a North Island itinerary. 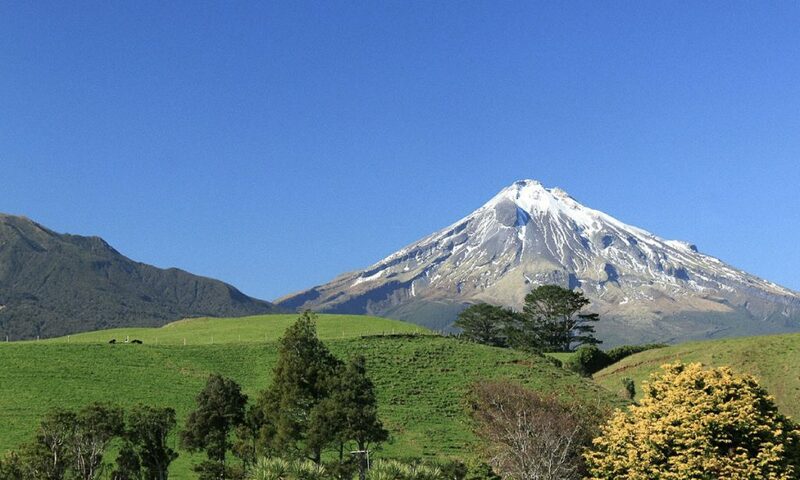 Taranaki is for those who want to discover some of New Zealand’s hidden gems, get off the beaten track, and get outdoors! There are some great surf beaches and fantastic walks, not least of all Mount Taranaki itself, which takes a gruelling 10 hours in changeable weather and should only be attempted on fine days and at specific times of years if you don’t have mountaineering experience. Not to worry though, there are plenty of other walks including the Coastal Walkway (3 hours one way), and other smaller adventures. Explore the Forgotten World Highway, the arts and culture scene of New Plymouth, and learn about the Maori Land Wars and the passive resistance movement. 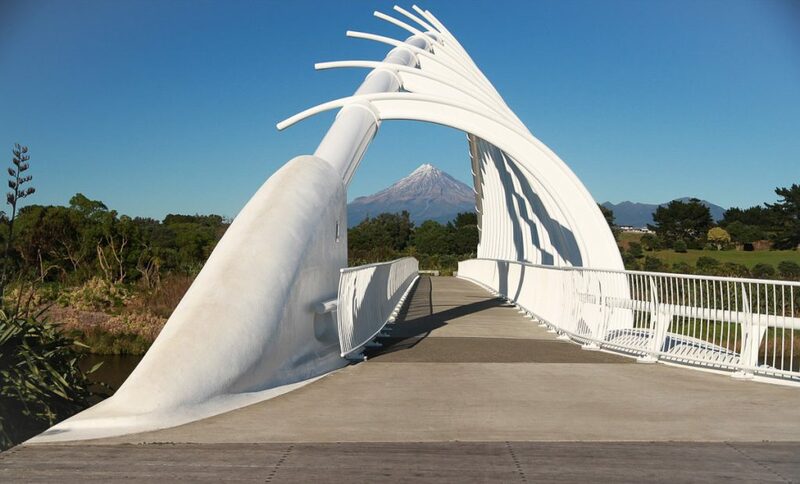 New Plymouth is the largest city and a great base option for exploring the Taranaki region. 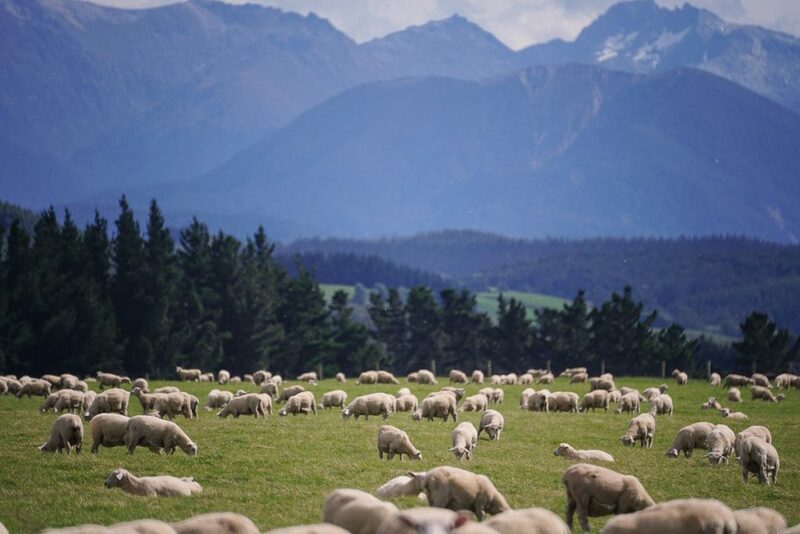 The Wairarapa is another under-appreciated area of New Zealand and is often skipped over as tourists drive from Taupo to Wellington in one hit. However, if you haven’t had your fill of wineries, want to see historic towns and love antiques, then the Wairarapa is the place to go. If you love to get out in the mountains then the Tararua Ranges have some great single and multi-day tracks that are less busy than some of the others in the North Island (looking at you Tongariro Crossing) but have spectacular views across Kapiti and Wairarapa regions. 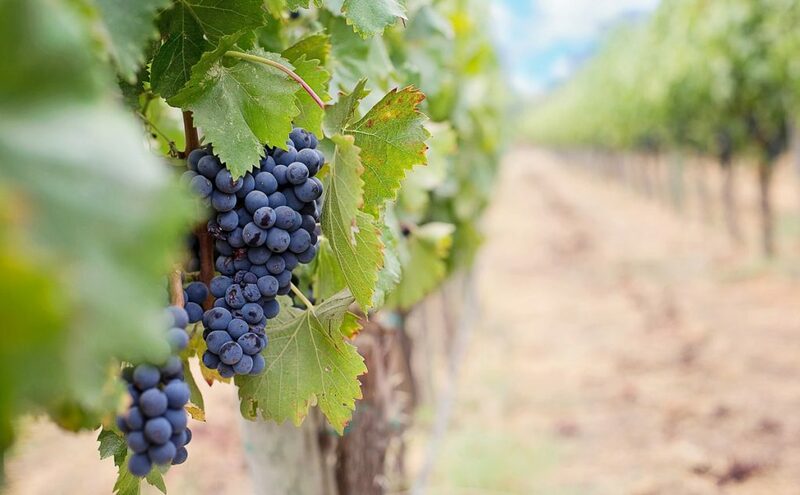 Martinborough has over 20 boutique vineyards, and the quaint town is a lovely place to visit during your North Island road trip. You can cycle between the vineyards and around the Union Jack-shaped town (the road were specially planned and laid to look like the union jack from above). Ok, so I know you’re travelling but even browsing the antiques at the shops in the Wairarapa is fun! Greytown is one of the prettiest towns in the North Island, and along with Carterton you kind find plenty of antique gems and cute cafes, so if you have the time it makes a lovely day out. Wairarapa has some great holiday home accommodation (check Airbnb and Booking.com) as well as luxury accommodation. You can really stay anywhere as you’re likely to be passing through or just staying a couple of days, in which case base yourself near what you want to see. 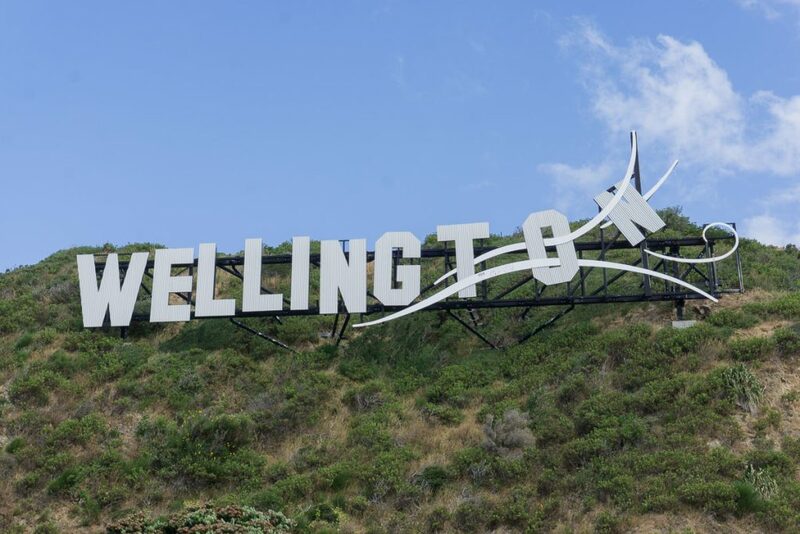 Wellington is New Zealand’s capital and my old stomping ground! It was once called “the coolest little capital in the world” by Lonely Planet and I would have to agree. The city is compact, with hilltop houses spilling down to where the high-rise business district curls around the harbour. It has both a vibrant inner city filled with culture and history, and plenty of beautiful green spaces and beaches. A must-see in Wellington! 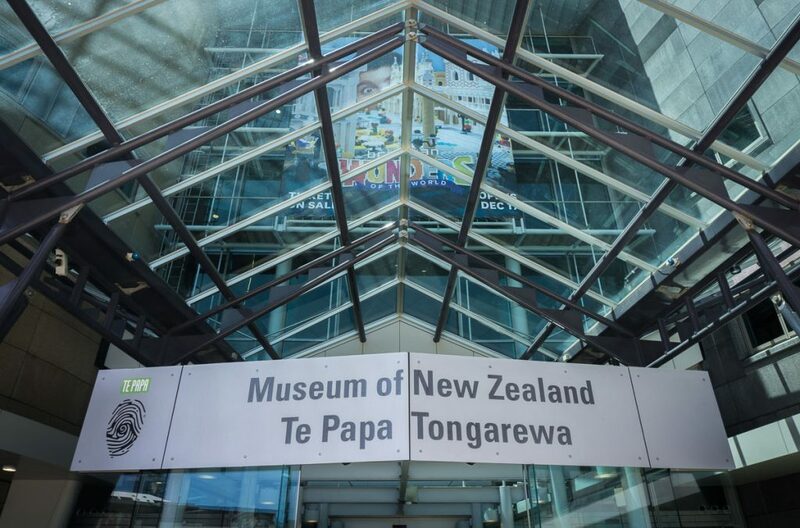 Te Papa, the national museum of New Zealand, holds many of the countries treasures, art, and ever-changing exhibitions. Many of the displays are free, with the occasional paid exhibition, and donations are of course kindly appreciated. Learn about the geological history of New Zealand and Maori culture. 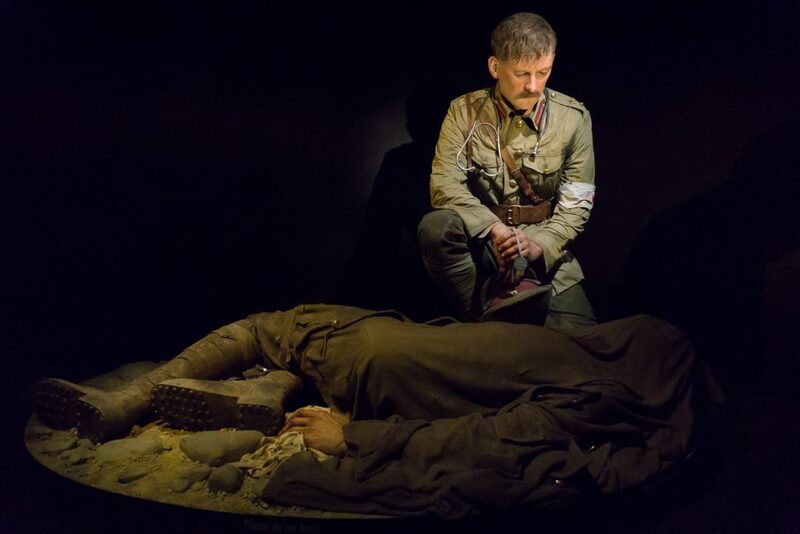 If you are lucky enough to visit soon you’ll be able to see the Gallipoli exhibition, where the tragedy of Gallipoli is told through the stories of 8 New Zealanders who found themselves a part of the fray They have been brought to life by Weta Workshop, with extremely life-like but larger than life-size sculptures. 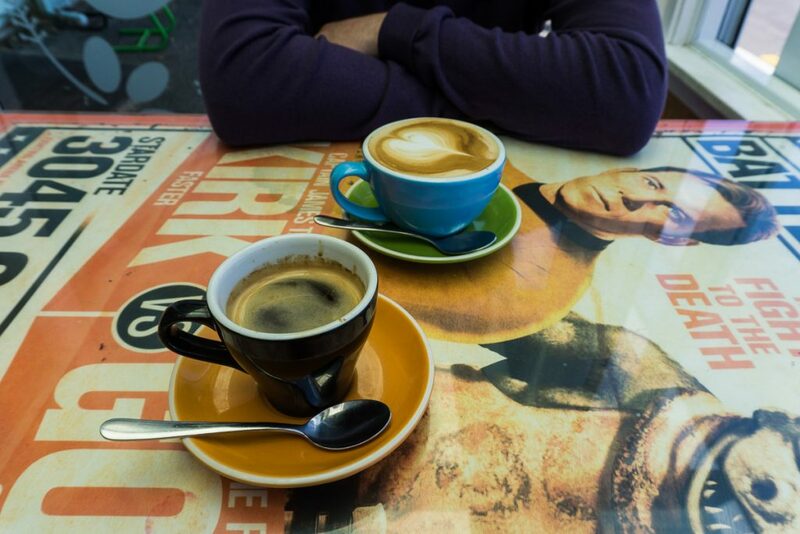 The heart of Wellington’s cafe culture and a great place to people watch, eat, and explore boutique shops. Oh and see the Bucket Fountain! 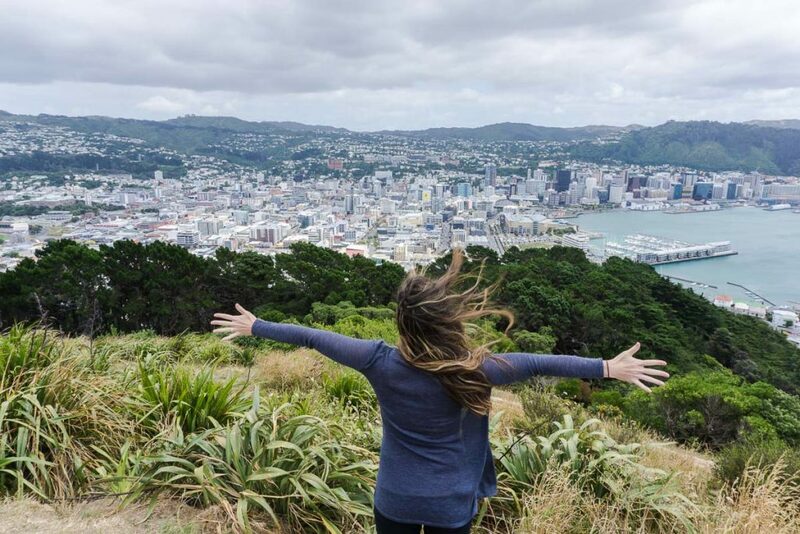 Walk up to Mount Victoria through the bush that was used to film parts of the Lord of the Rings, and emerge to spectacular views over the greater Wellington region.